For up to the minute info follow us here. 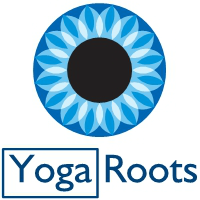 I teach a holistic style of Hatha Yoga with a focus on reducing stress, anxiety and depression. It is a gentle paced class that focuses on integrating our breath with our movement in and out of Yoga postures. It always ends with a deep 15 minute relaxation or 'Yoga Nidra practise' that is guaranteed to leave you feeling lighter, brighter and more refreshed and relaxed. Modern life has so many distractions that pull us out of our natural peaceful center and leaves our minds confused, anxious and tense. Come to your yoga mat and reach a point of stillness and ease. All you need is yourself, some loose fitting comfortable clothes, a yoga mat and a little bit of commitment and you will gradually notice an improvement in all areas of your mind body system, you might even have a bit of fun and meet some new people in the process. For details of times of classes, please see the Class timetable page. I look forward to welcoming you soon.